This delicious Elderberry & Port Liqueur is made in Devon and is perfect for drinking after dinner. It has a slightly lighter, fresher taste than traditional port and makes a great companion to any cheese board. If not drunk with cheese, then why not try out our quick Poached Pear pudding recipe? Peel and core 4 medium sized pears. Cut the pears in half and lay in a coverable oven proof dish. 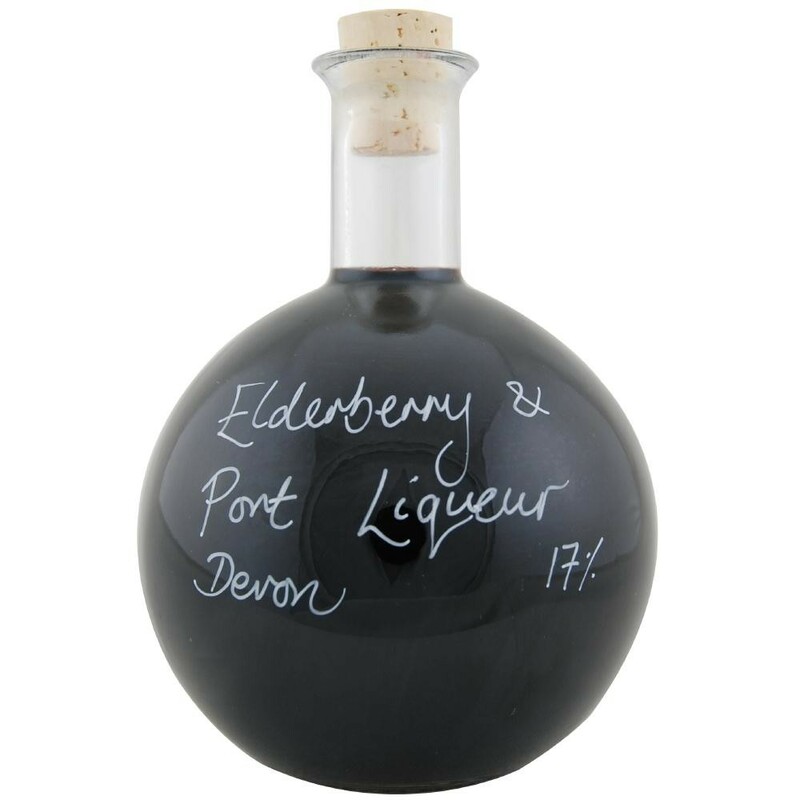 Pour over a good slosh (at least 200 mls) of our Elderberry and Port Liqueur, cover dish and poach for 15-20 minutes in a medium hot oven until the pears soften and look red in colour. Serve with fresh whipped cream, yum! This is handmade by a small team of passionate individuals in the West Country, we should know as Frances and I went to visit their winery in 2005. Started by Nigel Howard, a retired banker who escaped the City in 1994 to make wine, the winery uses both traditional and modern production methods to create the best quality liqueur. Its noticeable dryness is a result of the combination of elderberries and Portuguese fortified wine.